My employer in 1977, the Defense Industrial Plant Equipment Center (DIPEC), operated machine tool storage and rebuild facilities in California, Ohio and Pennsylvania. I was tasked to perform a study of the potential for the new Hewlett Packard calibration laser system for use at our rebuild facilities. I visited other laser users such as Arnold Engineering Development Center, Naval Avionics Facility and Rock Island Arsenal to study and observe their use of the system. The result was the purchase of a complete $50,000 system in order for me to master its operation. This was soon followed by three additional systems for the use at rebuild facilities. I traveled to each facility a number of times to receive the equipment, to assist in the training provided by HP, and to provide additional training. I became the DoD expert on the deployment of these systems, travelling to Tinker AFB, Warner Robbins AFB, and Pearl Harbor Naval Shipyard to provide training as well as actual measurement services. 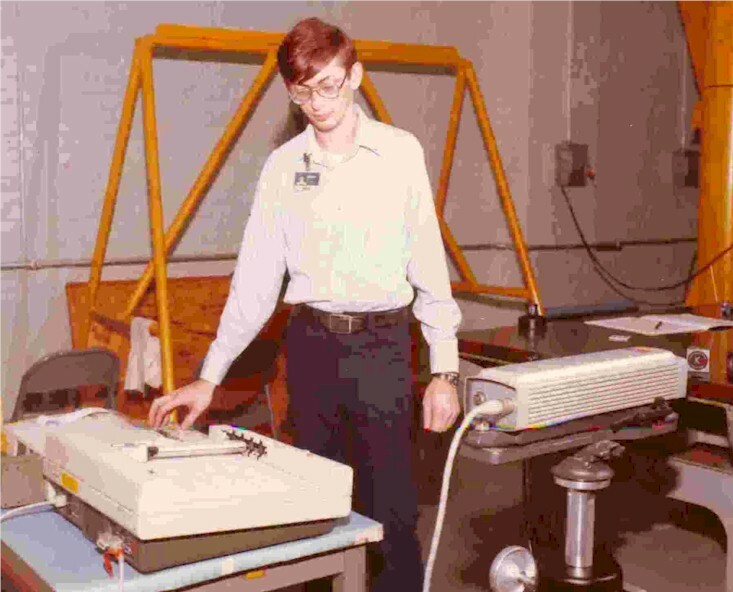 I became very proficent in programming the system to automate measurements and many automated measurement procedures were produced and disseminated. 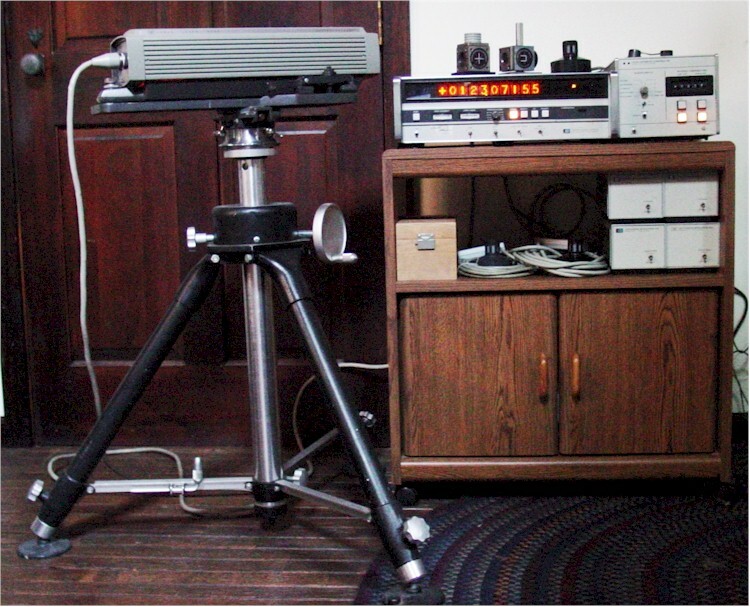 In April 2005 I was pleased to obtain an HP 5526A system with linear measurement optics. This system was manufactured at HP in San Carlos in November 1979. Twenty-six years later, the laser and display electronics still function flawlessly. The optics needed some cleanup but also work perfectly. My system even came in the HP hard shell transit cases. I have since obtained a tripod and automatic compensator with full complement of air and material sensors. The picture at right shows my system in operation. The items on the cart shelf are spare sensors and two each 10X and 36X resolution externder boxes. With repairs to the calculator tape drive and a little more information about the 16 bit interface connection, I hope to be able to again have the entire automated system working with the 9825 calculator and 9872 plotter.